Here, you will go through what mountaineering exactly is and how to prepare yourself for your first mountaineering journey. I have shed light on the mountaineering preparation guide, basic mountaineering gears guide, foods, and safety tips to follow in the mountains. How to Begin Mountaineering Journey? Mountaineering, in simple words, is climbing a mountain or a hill. Anybody can hike to a mountain. So, does that make them mountaineers? Not really. Mountaineering usually requires climbing and navigating through rough and cold terrain with technical equipment. So, it is more than just hill walking and is riskier as well. So, what makes people fancy mountaineering? Many outdoor lovers desire mountaineering. But, the ascending process is not easy. The steep climbing through rough terrain with the help of technical equipment and a load on your back is daunting and exciting as well. But, there is a breathtaking view and a sense of achievement when you reach the top. So, the physical and mental rewards are what make people crave for mountaineering. Mountaineering requires a whole lot of knowledge, skills, and technical gears. Unlike a hill walking, you cannot just plan it today and start it tomorrow. It requires days of physical and mental preparation. You have to get the knowledge of mountaineering, gears and different terms used in mountaineering, and about the mountain you are planning to scale. You should learn about rock climbing, ice climbing, possible risks, survival skills, and more. Now, you have realized that you need practices, basic skills, knowledge, gears, and motivation for mountaineering. Learn about terminologies used in mountaineering and the basic skills that I stated above. Be prepared both physically and mentally. If you regularly go to the gym or exercise, that’s a huge bonus. It’s important to have your every muscle active. So, start involving in jogging, cardio, heavy exercise, and exercise that improve your cardiovascular strength. You can go for a day hike or a short backpacking too. There are different books and online mountaineering courses available for beginners. You can buy some of them to have a better understanding of mountaineering. Also, there maybe climbing and mountaineering training institutes around you. Involve yourself in a few days training to learn the fundamentals of climbing and mountaineering. Not just that, you will also gain confidence and meet new friends for your mountain expedition. Remember! you cannot learn all these skills overnight, they require a lot of practice. It’s crucial that you must have enough knowledge of mountaineering. Have a proper information about the mountain that you will scale. Get information about the altitude, climbing permits, weather, trails, and so forth. Also, inquire about the success rate, fatalities, or anything about the mountain that you think matters. If possible, talk with mountaineers who have prior experience to climbing the mountain that you are planning to ascend. All these will help you mentally prepare for your exciting mountaineering journey. Start small. This is the most critical advice any mountaineer will give you. Start backpacking trip to small hills. This will teach you how to be self-reliant and you will learn about navigation skills. You will experience how it feels to carry a load of gears and food for hours in the wilderness. And, if you plan to do camping, you will know what it is like to camp out in the cold mountains. After a few hiking experiences, you can then head towards well-trodden hiking trails of Alps. You can find many trails that do not need ropes, axe, and other technical equipment. Once you have done a couple of hikes there, you are now ready for Alpine mountaineering. 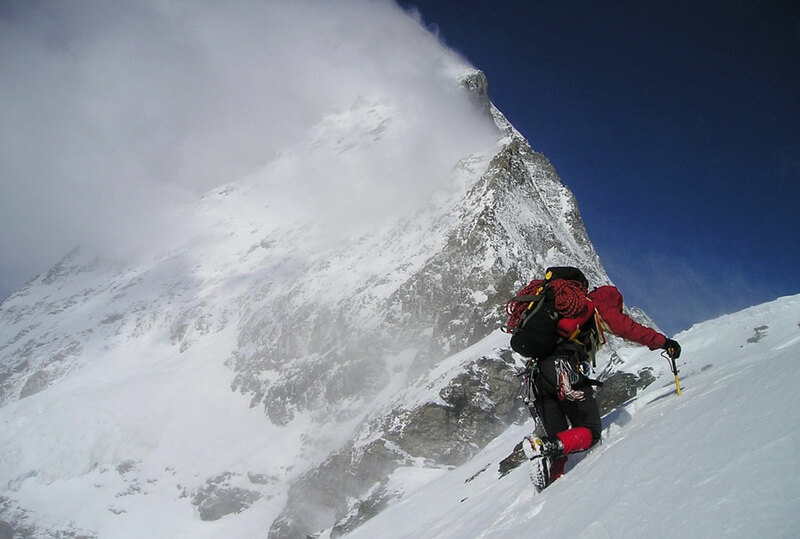 There are generally two styles of mountaineering – Alpine mountaineering and Expedition mountaineering. Alpine mountaineering altitude ranges between 2,100 meters to 5,500 meters. The time duration for alpine mountaineering is short. So, Alpine mountaineers usually have light backpacks and they travel quickly. Expedition mountaineering is the high-altitude mountaineering and is the ultimate destination of fellow mountaineers. The expedition takes days and weeks and it requires a lot of gears and supplies. The climates can be extremely cold and the altitude can go above 8,000 meters. An important advice: Go with a guide or someone with a prior experience of mountaineering. Mountaineering requires a lot of gears. Choosing the right one depends on what kind and how long the trip will be. If you are planning to hike a small mountain with no-technical climbing, then you need only a few basic gears like boots, backpack, and a rain jacket. If you are onto a multi-day winter mountaineering, then the gear list can be pretty long. Here is the list of most basic gears that mountaineers need in their expedition. Basically, there are three clothing layers for mountaineering – base layer, middle layer, and outer layer. The base layer wicks sweat off, the middle layer insulates your body, and the outer layer guards you from the rain, wind, and snow. While picking clothes for your mountaineering journey, avoid cotton items. Pick synthetic or wool clothing for the base layer to wick sweat off and fast-dry. Below is the list of clothing you need for the mountaineering. During mountaineering, a well-built and comfortable backpack with all the essential features for mountaineering is a must. A backpack with a removable frame can be great for mountaineering. If you are in a mountain expedition, a backpack with frame lets you carry your gears into the camp. Then you can remove the frame while pushing for the summit. Make sure you buy a mountaineering backpack and not a backpacking pack. The backpack needs to have different features including the built-in holder for rope, axe, and crampons. Make sure the backpack fits you right and is strong enough to withstand the harsh climate and a few rough handlings. While mountaineering, you may need to camp on the mountainside. Cheap tents may not hold up in the chilling cold and windy climate in the mountains. Many mountaineers have learned this in a hard way. So, avoid buying a cheap tent and spend a significant amount on a top-quality four-season tent. Anyway, the tent is your first protection while you are camping in the mountains. A four-season tent can withstand rain, rushing wind, snowstorm, cold nights, and the harsh climate in the mountains. While buying a tent, the major factors to consider are the type, strength, storm resistance capacity, weight, and the ease while pitching the tent. Look for pole’s thickness, the number of intersections, and the fabric while buying a tent. The double tents are very strong and provide the best protection. But, they are pricier and heavier than the single tents. So, which kind of tent is suitable for you depends on the class of your mountaineering. Sleeping bag is another important gear during a mountain expedition. For alpine climbing and mountaineering, a sleeping bag should be able to provide adequate warmth and comfort without being heavy. So, sleeping bags have breathable membranes and weather-resistant outer layer to deal with moisture. While buying a sleeping bag, opt for a down sleeping bag instead of a synthetic one. Down sleeping bags are warmer and have a better weight-to-warmth ratio. There are a couple of factors you need to look for in a down sleeping bag – the temperature ratings and the down fill. The temperature rating of sleepings bag denotes the lowest temperature that you can comfortably use the sleeping bag in. Likewise, the down fill power determines the loftiness of the down of your sleeping bag. The lesser the down fill power, heavier and less compressible the sleeping bag becomes. We recommend a winter sleeping bag with a minimum temperature rating of 0º Fahrenheit and 800 fill for mountaineering. You need to have a foam mat or a sleeping pad. The pad/mat should be ultralight and have the capacity to insulate you from the cold ground. Generally, there are two major types of sleeping pads; air pads and foam pads. Foam pads are quick to set up and you can also use them for other purposes. But, they are weighty and not so long-lasting. Air pads, on the other hand, are durable, lighter, take less space in the backpack, and are more comfortable to sleep on. But, they are pricier than the foam pad. Boots are the most important piece of gears while mountaineering. They have to be comfortable, provide warmth, and strong enough to withstand the harsh climate in the mountain. You cannot afford to buy a cheap pair of boots that give up halfway up the mountain. So, a sturdy, fit, and comfortable boot is a must for easy navigation and safety. The boot should have heel and toe welts for using crampons. While buying a mountaineering boot, look for a supportive, waterproof, and stiff boot that can protect your feet in rough, technical terrains and freezing cold temperature. The grade of your mountaineering climb determines which boot is the most suitable one. We recommend you to break into your shoes before heading for mountaineering. You have to make sure the boot is comfortable for your feet. Avoid unboxing a new pair of boots right at the day of mountaineering. On the snowy and icy surfaces, you will have to strap crampons onto your mountaineering boots. So, you have to make sure the crampons you buy fits your boots. Crampons are usually made up of aluminum or steel with aluminum being lighter but prone to damages as well. People use crampons for snow walking, general mountaineering, technical mountaineering, and waterfall ice and mixed climbing. For mountaineering, mountaineers use semi-rigid crampons that have fixed horizontal front-point type. 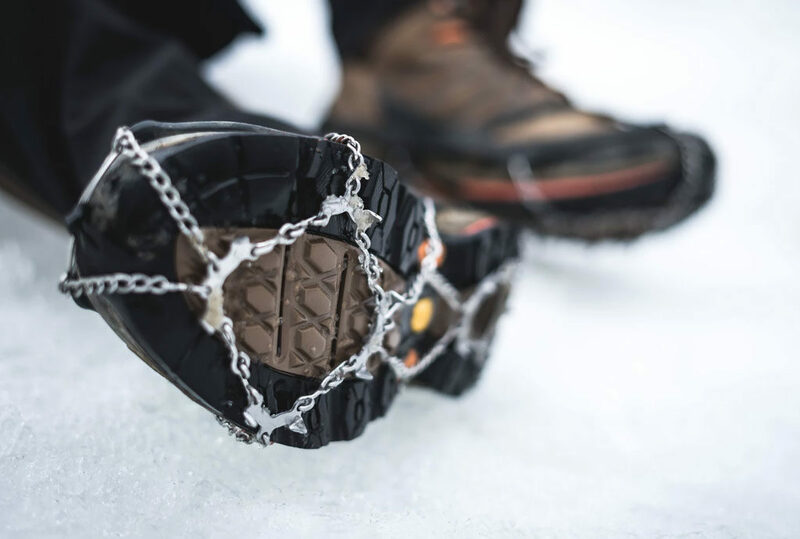 Semi-rigid crampons are suitable in a variety of conditions as they are flexible enough to walk with in the winter and rigid enough to use during ice climbing and mountaineering. Make sure your crampons are compatible with your boots. So, it’s better to check the crampon with your mountaineering boot before buying them. And if you cannot check the crampon with your boot while buying the crampon, then go with strap-on binding. Crampons with strap-on binding system fit with almost all kinds of boots. When you are navigating through the ice and snow-covered terrains, ice axe becomes an essential tool. It helps you navigate easily through snow terrains and climb through steep ice sections. While buying an ice axe, there are a few major factors to consider – materials, length, weight, and purpose of the axe. You can go for steel or aluminum shaft with 50-60 meter in length. If the mountaineering involves technical climbing, then you need an axe with steep pick angles. If it is just general mountaineering with no technical climbing, then an ice axe with a straight lower shaft is fine. A warm meal at the end of the day on the freezing cold mountains would probably be the best meal you ever had. For that, you can carry a lightweight, small, and convenient stove. Canister-fuel stove and liquid-fuel stoves are popular among mountaineers. When compared, canister-fuel stoves are lighter but you may need more than one. In contrast, liquid-fuel stoves are heavier, run for longer days, and work well in cold climates. So, if you are planning for a few days or week mountaineering expedition in cold and high-altitude mountains, grab a liquid-fuel stove. A climbing rope is a must-have gear for technical mountaineering with glacier travel. Climbing ropes come in different lengths, diameters, and types. So, the length and the type of rope depends on the route you will traverse. Pick a dry-treated rope that withstands the harsh climate and resists water absorption. Climbing ropes are usually divided into single ropes and half ropes. Mountaineers usually use half ropes for mountaineering and ice climbing. And, you can see single ropes in sports climbing, traditional climbing, and top-rope climbing. If your mountaineering involves technical climbing, bring a single rope of minimum 9.5 millimeters diameter or two half ropes. And for length, 60-70 meters ropes are usually ideal for technical mountaineering. 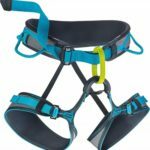 If your mountaineering involves climbing, you need a harness as well. Harnesses that people use for mountaineering are usually flat webbed and have low-profile gear loops. Such harnesses are lightweight and minimal in size. The harness should be comfortable to use while carrying the backpack. So, while choosing a harness for mountaineering, pick a lightweight and comfortable harness with adjustable leg loops. If the mountaineering is more technical, then the list of protective gears increases. You may need other necessary protective equipment like helmet, carabiners, ice screws, cordelette, belay, signaling mirror, crevasse rescue equipment, avalanche transceiver, GPS system, shovel, runners, and more. You also need basic outdoor gears like a headlamp, first aid kit, multi-tool knife, eating utensils, map, toilet paper, sanitary wipes, water bottle, water purifier, sunscreen, lip balm, sunglasses, quick-dry towel, and so on. What do mountaineers eat? This is a question that all mountain wannabes have at some point. The high altitude, cold climate, need of high energy – all these factors play a role to determine what food to take to mountains. In a cold climate, your body finds it hard to digest foods. Likewise, foods take longer to cook in the high altitude. Also, you need more energy during mountaineering. While mountaineering, pack foods that are lightweight, calorie dense, provide instant energy, are easy to digest, and require little to no preparation time. Dry fruits, snickers, granola bars, oatmeals, hard cheese, dry meats, bagels, and cracker jacks are some popular food items for mountaineering and climbing. And if you plan to cook meals, pack items that are easy to prepare and take less time. Add instant soup and instant tea too on your food list. A crucial advice: Eat frequently! Maintain body hydration! While mountaineering, make sure you make no to minimal impact on the mountain. It’s your duty to become a good visitor. You should have a proper idea about what you should do and what you should avoid in the trip. Following the proper rules and ethics while mountaineering will help you remain safe and also protect the environment. Now, you have learned a lot about mountaineering. So, what are you waiting for? Start preparing for your mountaineering. And a final advice – Do not take mountaineering lightly. Prepare as much as you can before heading into the remote mountains. At last, I wish you a happy and safe mountaineering journey ahead.